Westerners associate the Chinese fortune cookie with good luck, but it’s the dumpling that brings good fortune during a most important holiday: the Chinese New Year. The Chinese New Year is approaching, and eating special New Year’s foods begins weeks in advance. 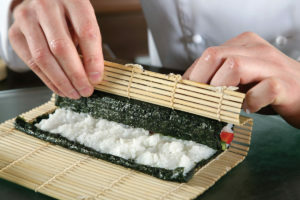 Preparing traditional foods takes on great significance. It’s a family-oriented celebration, and dumplings are a big part of that family tradition. Dumplings are served in homes and at family reunions all over China to celebrate the new lunar calendar, which begins this year on February 16. You’ll also find them served during the Chinese New Year celebration called Spring Festival, which runs into March. Symbolism has deep roots in Chinese food culture. Dishes are offerings that bestow wishes for prosperity and happiness for the year, so dumplings are prepared with special care and pride. A natural complement to a plate of these soft savory stuffed delicacies is soy sauce. We think you’ll agree that Ink Soy Sauce is the ideal dunking sauce for New Year dumplings. 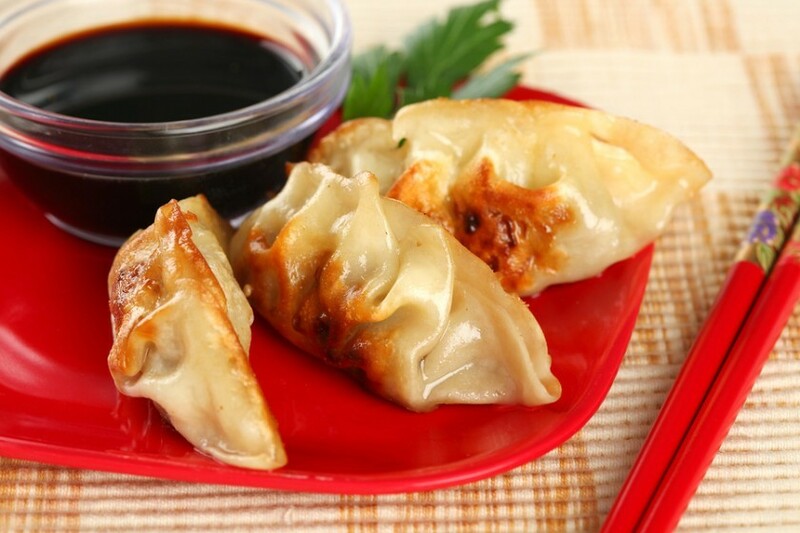 Having gained worldwide popularity, dumplings are enjoyed everywhere year round. So before getting to the nitty-gritty of how to use Ink Soy Sauce with this New Year favorite, let’s honor the dumpling and take a closer look at its history … its origins in Chinese culture, family life, and cooking. Some historical accounts place the entry of the dumpling in cuisine as far back as the ancient South and North Dynasty, which began around the 4th century. It’s said they became popular to eat during the New Year of the Ming Dynasty, which began in the mid-1300s. The dumpling’s crescent shape resembles the currency used in ancient times, which may be why the dumpling became a symbol of wealth. Dumplings are traditionally eaten during the New Year as symbolic offerings of wealth and treasures, and because there are good things inside dumpling’s doughy pockets, signifying that something hidden can reveal auspicious beginnings. Those who eat dumplings, it is said, will experience wealth in their future. So, it became a symbolic practice to stuff dumplings with delicious fillings like meat, chicken, fish, pork, or vegetables. Sometimes coins or other treasures are added to one of the dumplings on the plate for fun. The person who eats the coin-stuffed dumpling gets lucky (cleaned coins, of course)! Other stuffing variations include candy for a sweet life, peanuts for health and longevity, and chestnuts for vitality. As part of the tradition and fun, everybody in the family helps to wrap them. Traditional Chinese sauces for dumpling dipping are often variations of ginger, garlic, sesame oil, rice vinegar, chili oil, and soy sauce. Several Ink Soy Sauces do the trick here. 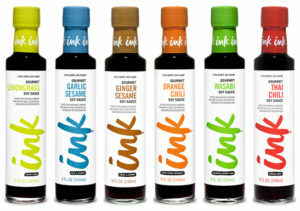 Choose from Ink Ginger Sesame Soy Sauce, Ink Garlic Sesame Soy Sauce, or Ink Thai Chili Soy Sauce. Add some sugar for a bit of sweetness, a little lime juice, and garnish dumplings with some chopped green onion. Eat until your heart’s delight and sip with red tea or a glass of Chinese beer, or rice wine. A dumpling just isn’t a dumpling without the dipping sauce. Steamed, boiled, or pan fried, dumplings cry out for a strong, tangy flavor. Ink Soy Sauce satisfies that need. 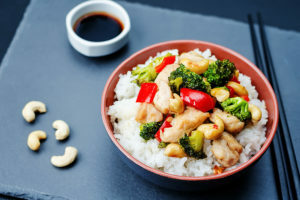 Using Ink Soy Sauce also cuts down on sauce prep time and cost. 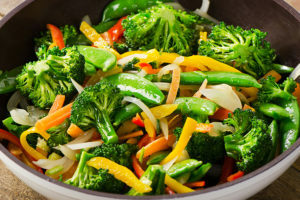 Popular fillings are one or a combination of: ground pork or beef, shrimp, cabbage, green onion, water chestnuts, ginger root, cabbage, shiitake mushrooms, leftover chicken or turkey. Select the Ink Soy Sauce that best complements your desired filling. If you’re eating out in a traditional Chinese setting, your dumplings will probably be prepared and served in bamboo steamers. What a special treat! Select your dumplings, add to your plate, and then dip. Ink Soy Sauce tastes wonderful with steamed or pan-fried dumplings; the pan-fried ones are also called pot-stickers, if you happen to see it listed on the menu. Avoid the temptation of popping the whole dumpling in your mouth at Chinese New Year celebrations. Dip and nibble. You don’t want to swallow a coin by surprise! It’s more fun to pick up a dumpling and dunk with chop sticks. The dumpling and Ink Soy Sauce tastes even better that way (wink wink). If you’re a dinner guest invited to share dumplings, eat and wish your host a Happy New Year. If they don’t know about Ink Soy Sauce, bring them a set of Ink Soy Sauce as a gesture of thanks. You might be gifted in return with a red pocket (red symbolizes good fortune and joy) with money inside; if so, you’re the recipient of a prosperous Chinese blessing.